“Oh great, another compact crossover review” I hear you mumbling across the mire of the internet. 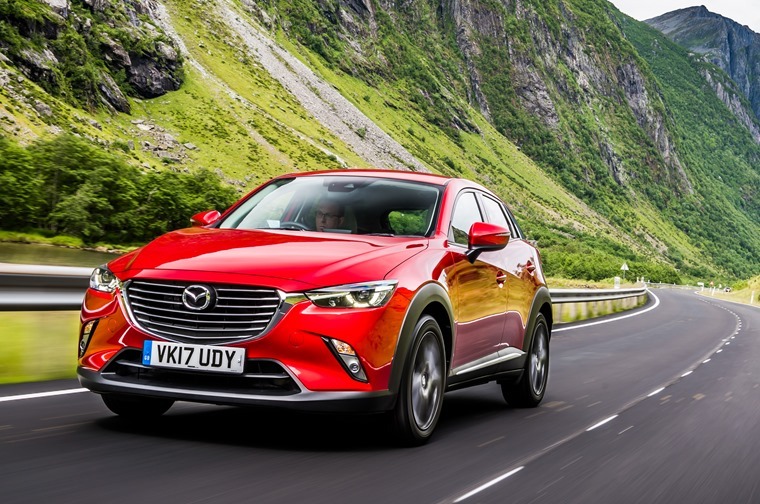 And while the oversaturation around these oh-so-practical and popular vehicles makes it harder and harder to choose which one you should be leasing, the amount on offer means there’s something for everyone. Often, one of of the major criticisms in the compact crossover segment is how everything looks the same. 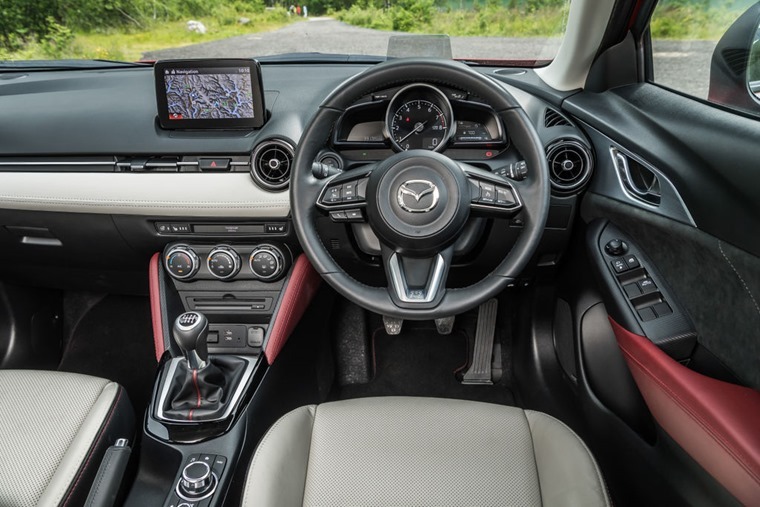 Mazda has done just enough to offer people something which not only offers elegance in a segment somewhat lacking in such things but has an air of sportiness to it. With all the accompaniments that come with a car these days, you can often forget that how it drives is supposed to be one of the most important features. 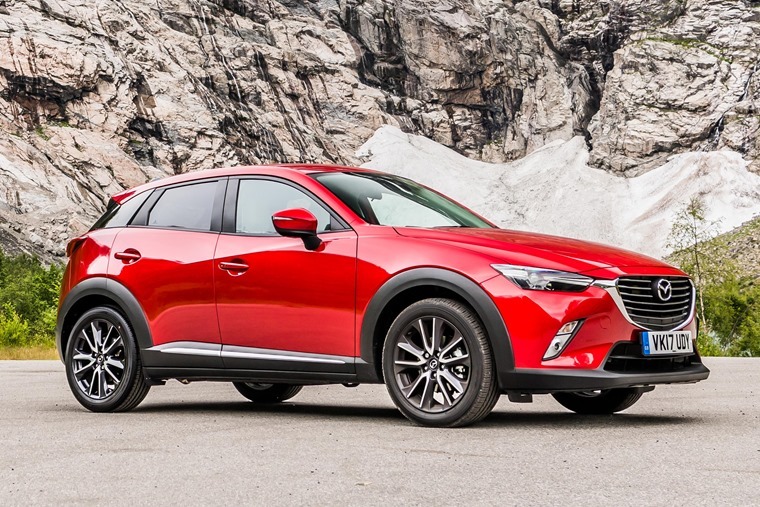 Mazda hasn’t forgotten this and the CX-3 proves that. The 2.0 AWD petrol version we tested proved to be very easy to drive, with smooth manual six speed gearbox, agile manoeuvrability, and thorough composure on a wide mix of motorway, A-road and inner-town driving. Add to this the aforementioned suspension set-up and the car has no problems with bumps in the road no matter your speed. 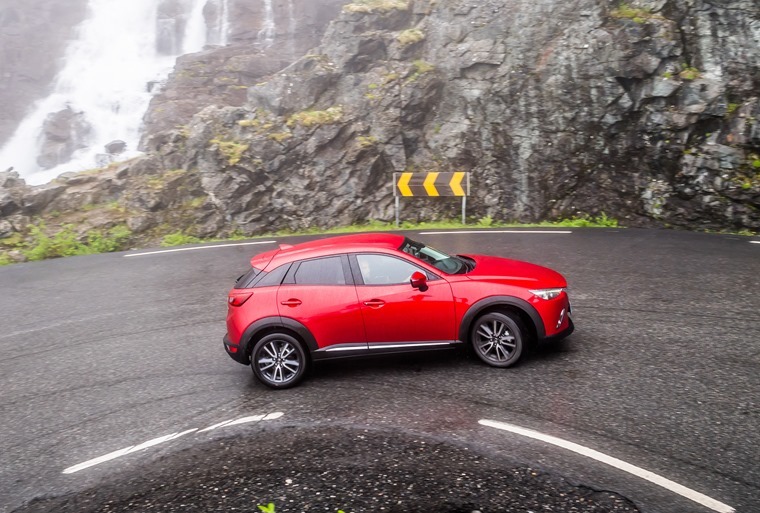 What most people come to the crossover for is a raised ride height, and the CX-3 offers a great and commanding presence on the road. As a single occupant driver this felt like the ideal size car to me and there were plenty of high-end touches in the cab too including a 7in infotainment unit that can be operated via touchscreen or centre-console dial while on the move, as well as a heads-up display above the dash to show your speed and what the limit is. Perhaps one of the most important aspects to drivers currently is fuel efficiency. 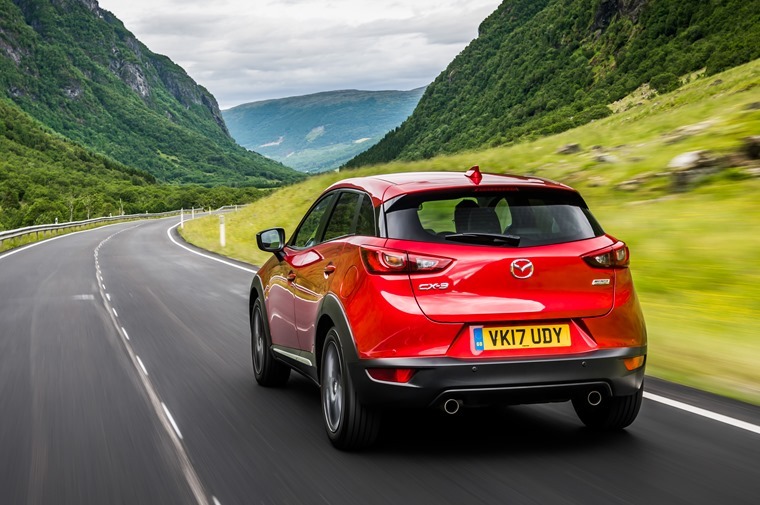 As with other vehicles in the Mazda range, the CX-3 uses SkyActiv technology to not only offer the world’s best fuel compression ratios to eek the most out of the engine but also maximises performance with a stiff, lightweight body that provides sharp handling and a high level of safety. With this in mind, the 2.0-litre petrol model we tested offers an official figure of 47mpg and fantastic performance around town. It is also the quickest in the range, going from 0-62mph in 8.7 seconds. 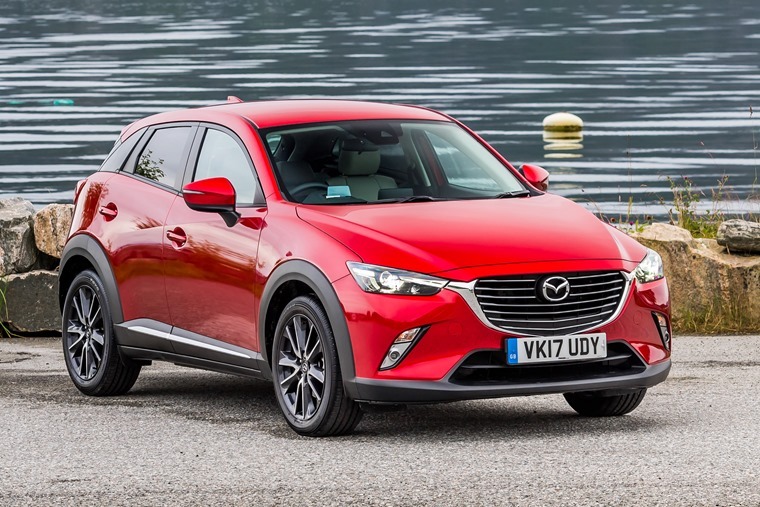 Compact crossovers are often not the most fun or engaging cars to drive but the Mazda CX-3 proves to be an exception thanks to the technology behind the car bolstering its offering. Add to that low running costs and some neat touches in the cab and if spec’d properly it proves itself to be an enticing lease.